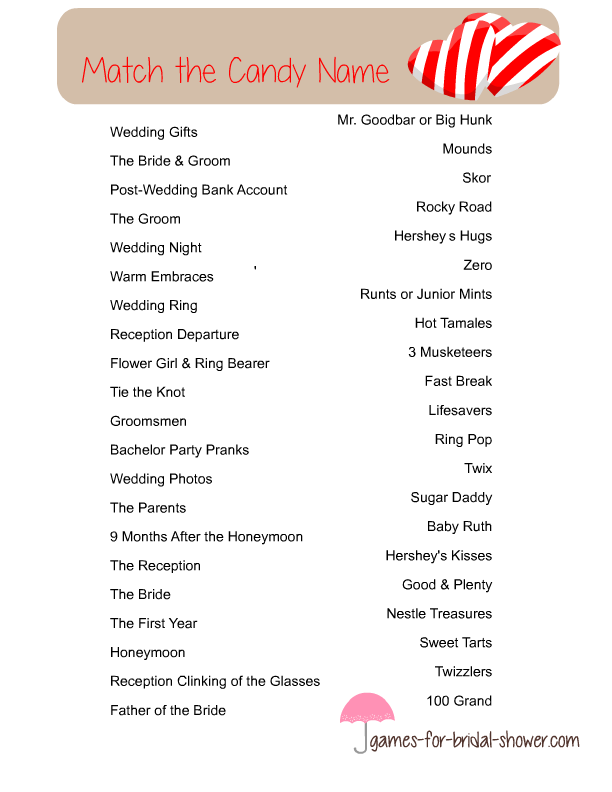 This is a free and fun game in which guests will have to match different wedding related words and phrases with names of different candies. 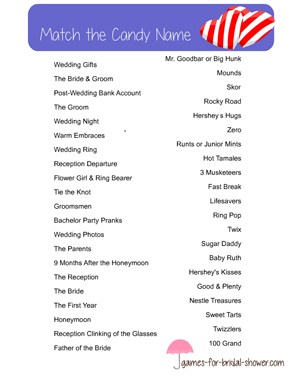 Like father of the bride is 'sugar daddy'. Here is the solution for this game. You will be needing just one copy of the solution. I have created this game in three different colors, so you can print the color that matches your bridal shower party theme more. 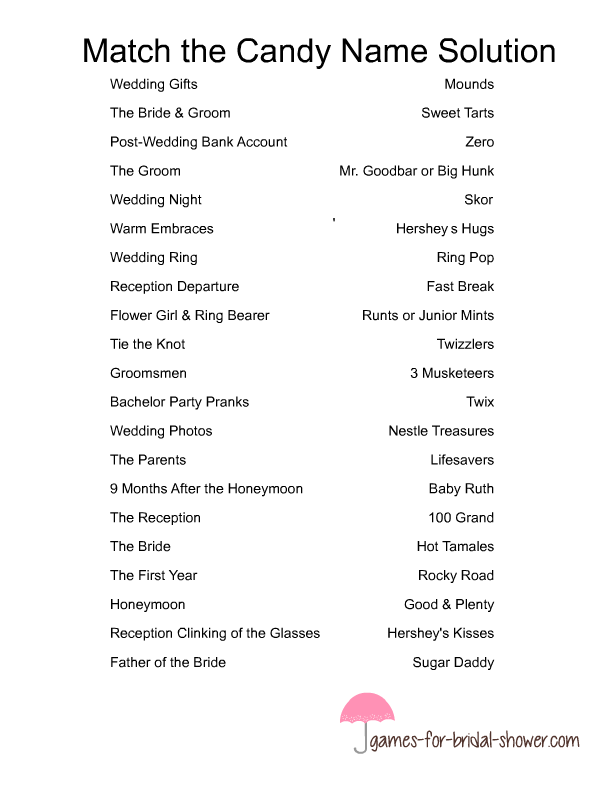 How to Play: Distribute match the Candy Name Game cards among your party guests along with a pen and ask them to match different wedding related words and phrases with names of candies. The guest who will join the right clue with the right candy bar will be the winner. You can also asign a time limit to finish this game that can comprise of 3 minutes or 5 minutes. This is a free printable card for this game that you can print using your home printer. You can also print this game in black and white color but color print outs will be more fun. In order to save this image, click on the image shared above and then right click and save the bigger version. This is another color for this game that I like most. I hope you will like the graphics of these games too. This game card is in pink color with two candy hearts on it. This game printable will go with any bridal shower party theme. If purple matches your bridal shower party theme more then feel free to print this game card in purple color with image of two candy hearts on it.